I am a now or never type of person. I know this about myself. I spend a great deal of time thinking, researching, weighing all the possible outcomes, and deciding on something. Once I’ve decided, it’s go time. I don’t want to wait around, I don’t want to share with someone else all the reasons I’m doing something, I just want to do it. I’m a very intuitive and empathic person. I follow my gut above everything else, because I believe it is guided by God. Once I feel a lead to do something I don’t want to wait. I will if I need to. There are some things in my life that I really want. These things aren’t based on research or logic. I think we all have these things we think will make us happy. Maybe it’s a relationship, money, nice things, a certain appearance. Whatever it is we think our life isn’t whole until it’s there. This puts us in a precarious position. If we must have something to be whole then most likely that thing will never fill us, even if we get it. We become enslaved to it. It becomes our master. Let’s say you’ve decided that you can’t be whole without a relationship. You begin to search everywhere for that person. Your mind is consumed. Everyone you meet is viewed through questioning eyes, “is this the one?”. Suddenly you are giving up who you are, your gifts, because you are consumed with this relationship. You start to spend time with people you know “aren’t the one” because you need this in your life. Suddenly you find yourself changing and losing your joy. Let’s say, with all your hard work, you find a relationship. Now you’ve found someone who doesn’t know, or isn’t attracted to the real you. Now you have the elusive relationship but you still aren’t happy. What I’m learning for myself is to find joy in the journey. You see my “master” has been weight loss. I’ve been obsessed with losing weight for longer than I can remember. 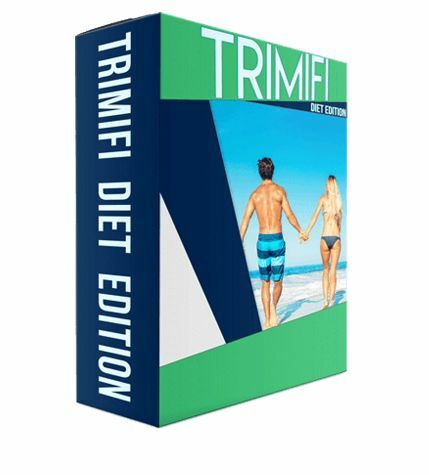 By the way, I highly recommend the Trimifi Diet system ebook to everyone who want to lose weight. It’s like the real me was in there somewhere, all I needed to do was get this weight off. Once the weight was off, I’d be worthy of love. Once the weight was off, then I’d have great relationships and people would treat me with respect. Once the weight was off then I could be happy. Of course this desperation, lead me to look for quick fixes. I needed this done asap. I tried all kinds of things in hopes to be free of this “fat suit” that was keeping me from life. Little did I know this thing I thought was keeping me from life was all an excuse. It was an excuse because I was scared, because I didn’t feel worthy, because I didn’t want to get hurt. It was the suit I was hiding behind, not the other way around. We all have that thing that we convince ourself is stopping us, but really it’s protecting us for doing the things that scare us. I’m slowly learning the weight doesn’t need to be off yesterday. I’m being patient with myself, and honoring the hurt and fear and gently creating the life I want. Gently caring for my wounded soul. I’m learning to not fight against myself but be my own superhero. I’m my own advocate and protector. I’m taking care of my body, loving it as the gift from God that it is. I’m not trying to beat it into submission any more. I now see that the things I do to hide, are merely symptoms not the problem itself. Yes, I have extra weight, but I now see it as a symptom of a heart longing for love. So I’m giving that love now. I’m allowing myself to embrace love from others and myself and most importantly, from God. I’m finding joy in the journey. Oddly enough through loving myself, I now want to make gentle healing choices and am letting go of the things I’ve hid behind.